BIG WHITE LIES is the most entertaining yet thought-provoking crime thriller of the year. Sydney, 2018 – Forty girls disappear without a trace. Disgruntled cop, Dan Porter, leads the investigation and those responsible dare him to hunt them down. A mysterious informant sends Porter to Crooked River, a dusty and hostile Outback town where clues from the past might lead to the missing girls. His questions are answered with threats, tensions mount, blood is spilled. What part of the town’s history are the locals, and powerful others, so desperate to hide? Porter’s in constant danger, but he’s no quitter, especially with young lives at stake. He uncovers the Outback’s darkest secret and it's more sinister than ever imagined. 5,0 de 5 estrellasDisillusioned Dan Porter goes all in to solve a kidnap murder mystery. Dan Porter is a disillusioned cop who is the lead investigator in a kidnap case involving 40 girls. As the case develops, one of the kidnap victims turns up murdered and the investigation takes a new and unexpected turn. Dan heads to the outback in search of the answer to this case and what secrets the sleepy town of Crooked River is tryinh to hide. Follow this mystery and discover the unimaginable truths uncovered. The characters are developed and the story is intriguing and fun. I found this to be a very good read and recommend this one to all the mystery or murder fans as well as anyone who loves a wild and twisted journey. A 7 personas les ha parecido esto útil. I have done significant research and written a book on human trafficking but I had no idea that according to this fictionalized story, Australia was involved in heinous practices involving the kidnapping and forcibly removing of Koori girls (A native Australian Aborigine group) and shipping them to Singapore and other Asian cities for distribution to “clients” worldwide who indulged in “enjoying” pretty girls of color. 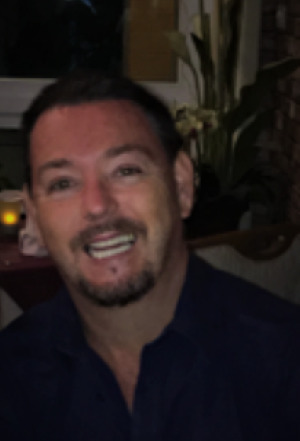 Dan Porter, a seasoned detective, has a particular interest in ending such practices because he is about to wed a beautiful Jamaican woman and is genuinely fond of her teenage daughter. When the body of one horribly abused and mutilated young girl is dumped at the door of a clinic, a prominent Koori human rights lawyer persuades Porter to join a team that will investigate the disappearance over time of dozens of Koori young people. In order to do so, they set up shop in Crooked River, a town in the Outback. Here they surface evidence that many of the town’s officials, ranging from the police to judges were involved in the practice. The group fashions themselves as “The Kingdom of Alba” suggesting ancient roots going back to Scotland. The author skillfully uses Australian lingo that fits well in the atmosphere and lends an air of authenticity to the story. The detectives must break a wall of silence and take some losses before exposing the cabal and forcing the government to deal aggressively with the situation. The author was a policeman and that accounts for the aura of authenticity and details that greatly enrich the story. I was particularly impressed that this is the author’s first book. It is well written, with authentic local lingo and characters that are fallible but committed to dealing with a heinous situation. Once you start reading, you will not be able to put the book down until its satisfying, explosive ending. 5,0 de 5 estrellasA crime thriller that shakes it up. 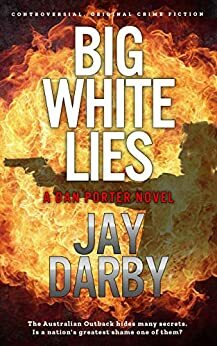 Big White Lies is the thriller that grabs you at the throat. Jay Darby masterfully writes a fiction about subjects that people want to shun away from. Kidnapping and selling young, beautiful Koori girls to the highest bidder is horrendous. Cop Dan Porter is a white man who tries to make a difference in the black community and steps on toes doing it. Protecting his own family becomes hard as they put a target on them. The deeper he digs within the politics of the government and their connection with this brutish group the fewer people he has to trust. I could not put this novel down. 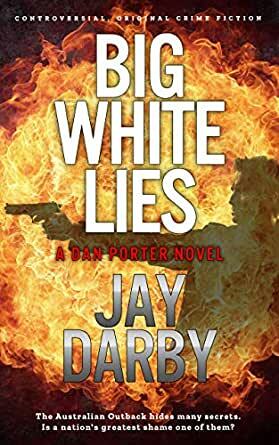 Jay Darby’s character, Dan Porter, is intense but real. He doesn’t always handle the stress and pressures of his job the right way. Big White Lies is a strong, dramatic, and mesmerizing. I loved the plot and story, but the topic is a powerful reminder of a darker world most people don’t see. I highly recommend this for those who want a crime thriller that shakes it up.